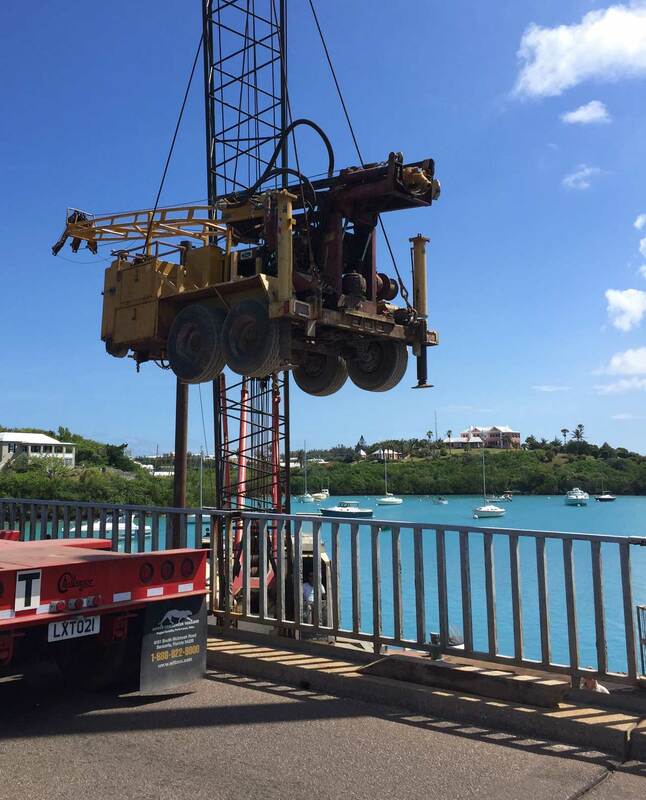 Aardvark has completed work on The Bermuda Bridges Geotechnical Investigation. The project was completed successfully within the budgeted timeline of 40 days. 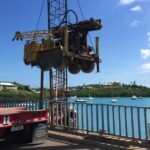 Here we are loading the rig on the barge in preparation for testing the soil and coring the bedrock at the “Swing Bridge” and “Longbird Bridge/Causeway” near the Bermuda Airport.